Nintendo Wii Helped Budding Surgeons Move To Head Of The Class : Shots - Health News Want to be a better surgeon? Get your game face on. A study finds that surgical residents who played video games for an hour a day performed better at simulated keyhole surgeries than colleagues who refrained. Kid, you might just have a future as a surgeon. How's this for a tough assignment? A group of Italian researchers forced 21 surgical residents to play video games on a Nintendo Wii for an hour a day, five days a week, for four weeks. Whew! Then the researchers had the residents perform a simulated keyhole surgery. They found that the gamers performed significantly better than another group of residents who didn't undergo this grueling video game training. "We had a lot of fun," said Dr. Gregorio Patrizi, a professor at the University of Rome Medical School who worked on the study. "Research doesn't need to be boring." Keyhole, or laparoscopic, surgery involves inserting tiny video cameras and instruments into your body so surgeons can operate without having to make a large incision. The approach reduces recovery times for patients, and the risk of infection goes down as well. However, Patrizi said laparoscopy can be difficult for surgeons not used to staring at a video monitor during an operation. "You have to move in a three-dimensional space but you have a two-dimensional image on your screen," he said. That's where the Wii comes in. 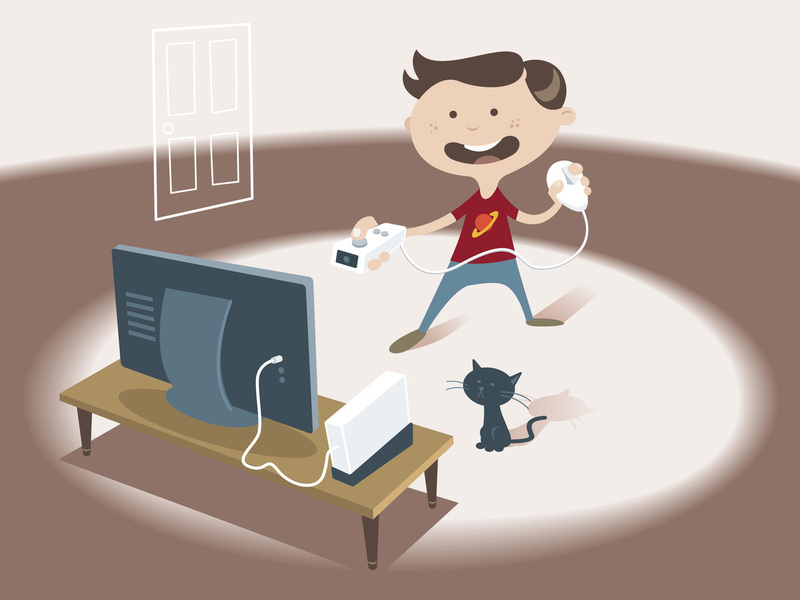 Several earlier studies suggested that playing video games can boost laparoscopic skills, but those studies were largely based on surveys of surgeons' prior video gaming habits. Patrizi's study is one of the first randomized trials that had some surgeons undergo a structured game-playing routine and also maintained a separate control group. Patrizi and his team had surgical residents play three Wii games — tennis, ping pong and one that involved shooting balloons from an aircraft. As the researchers write in their article published online by PLOS ONE, they chose these games because they all required strong hand-eye coordination and three-dimensional visualization of a space. Compared with the unlucky doctors in the control group, who didn't have an excuse to play video games for five hours a week, the residents who played the Wii games showed significantly more improvement on a laparoscopy simulator. Though it might seem like this study was designed by Nintendo as an advertisement for the Wii, Patrizi said the video game maker had nothing to do with it. He said his team received no outside funding to conduct the experiment and didn't even notify Nintendo they were doing it. In an email to Shots, a Nintendo spokeswoman said the company is "thrilled to hear" that the Wii might someday provide a benefit to medical science, even if that wasn't what its designers had in mind. "Did we think that the Wii would improve the performance of surgeons?" she writes. "No." Patrizi said these results suggest that the Wii and other motion-sensing gaming consoles like Microsoft's Kinect could be used to supplement surgical training at a very low cost, especially when compared with expensive laparoscopy simulators. To Dr. Brant Oelschlager, chief of the University of Washington's Center for Videoendoscopic Surgery, it makes sense that a video game would help a surgeon perform these procedures. "There's probably a lot of overlap in that bit of learning," he said. "Both are very unnatural environments to the novice." But that doesn't mean hospitals should be putting Wii systems in the doctors lounge just yet. Oelschlager said video games would only be beneficial to inexperienced surgeons. "I'm skeptical that at an advanced level that would help the surgeon become better," Oelschlager said. "At some point, it starts to have diminishing returns and you have to gain the rest of your skills in a real patient."